Due to digital ordering, the guests are served faster, their stay is shortened, therefore table turnover is maximised and the restaurant capacity increased with the same number of seats. Unique “Express Order” allows guests to be served immediately, thus increasing average bill by one drink / ice cream This elevates the visibility to foreign guests. Implementation of additional income; games, booking etc. Pictures and texts will provide all necessary details, including allergens, food and wine pairings etc. The guest can check local service information, taxi numbers, public transport etc. 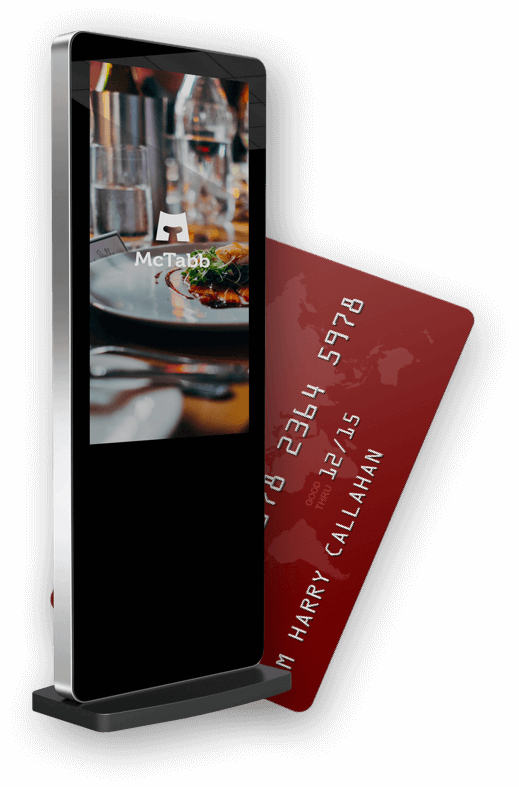 If necessary, McTabb enables complete control over the calls to the waiters, food orderings in the kitchen and at the bar, periods of time necessary for those activities etc.